The CEO of Citigroup expects Brexit negotiations to go down to the wire as neither side would benefit from reaching an agreement ahead of the March 29th deadline. "Tell me the last time you were in a big negotiation and you say, 45 days early, ‘let’s settle it today’," said Michael Corbat at the European Financial Forum. "The art of negotiation and game theory pushes it to the wire." He said that a deal before the deadline would inevitably lead to accusations of one side or the other being too soft. Instead, he said people and governments were most responsive to deadlines. Mr Corbat said that Brexit did matter to his firm, with their focus being on their ability to operate once Britain leaves the European Union. "Brexit absolutely matters, what matters most is regardless of outcome you’ve got to be prepared on the next day to be up and running," he said. "We as a firm, and industry, believe that is our responsibility, and we’ve invested heavily in terms of time resources and money to ensure we will be there." 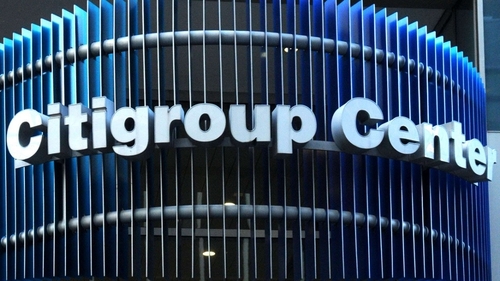 Citigroup has moved some of its operations to Frankfurt as part of its Brexit preparations, while also signalling its intent to scale up its offices in Amsterdam, Dublin, Luxembourg, Madrid and Paris. Mr Corbat said his firm would "plan for the best and prepare for the worst" in terms of what is to come.